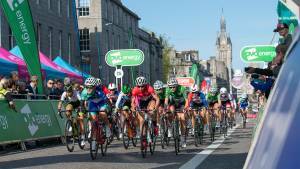 WHAT IS THE TOUR SERIES? 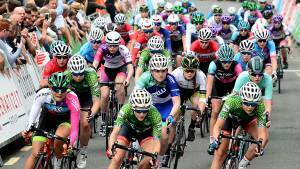 The Tour Series is the UK’s biggest and most prestigious televised cycle race series for men and women, with a unique team based format. 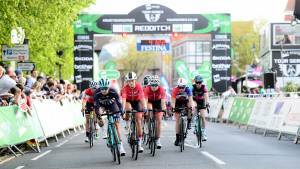 First held in 2009, the series attracts top cyclists - including Olympic and World Champions - to compete across circuit races held in town and city centres across Britain each May. WHEN DOES THE SERIES TAKE PLACE? The 2019 series will take place in May. Locations of our rounds can be found on the VENUES page. The Tour Series is all about the teams, which is what makes it unique in the sport of cycling. When a team’s rider crosses the line first it doesn’t necessarily follow that the team also wins the round. Yes, that rider gets the honour and glory of the individual victory, but the aim for teams is to complete the race in the lowest cumulative time with their five riders, making them the fastest team on the night. The team who consistently performs the best and scores the highest combined points tally claim the prestigious Tour Series title. Nothing! It’s absolutely free of charge for spectators who want to see the Britain’s best cyclists in action. The circuit-based nature of the Tour Series also means fans get to see the riders pass by numerous times during each race! We do also offer a number of hospitality places on the start/finish line at every round for any fans wishing to enjoy a full VIP experience with the best view in the house – visit our HOSPITALITY page for full information. WHERE IS THE BEST PLACE TO GO AND WATCH A ROUND? There are a host of places along each round’s circuit that offer a great vantage point to watch the racing from, especially as the riders will complete several laps of the course. The start/finish line is often the most popular among fans – there’s no better place to watch riders and their teams fight it out for the victory on the night. However, all of our circuits are designed to be different, and boast at least one defining feature. So whether it’s a section of cobbles, a challenging hill or a series of technical corners, there’s never a bad viewing spot along each course. 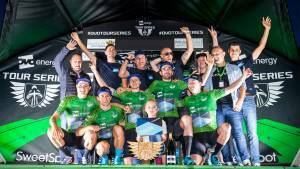 Up to 10 teams battle it out in the men’s Tour Series at each round for the overall title and to be crowned the fastest and best team in Britain. 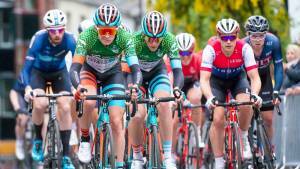 Each round will also see selected guest teams joining the fray to bring local interest to the Series and to provide them with the opportunity to race on the high-profile stage of the Tour Series to aid the development of new teams and younger riders. From 2016 these guest teams also did battle in their own competition, so stay tuned for what prizes will be at stake in 2019. HOW MANY RIDERS RACE AT EACH ROUND? Each men’s race will be approximately 60 minutes in duration. The women’s races are 45 minutes. 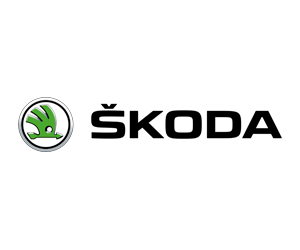 HOW DO I KNOW WHO IS LEADING THE TOUR SERIES? In both and the men and women’s series all five riders racing for the team leading the overall standings will wear the distinctive Tour Series leader’s jerseys, making them stand out from the crowd in the peloton. WHO WINS THE TOUR SERIES OVERALL? Quite simply the team with the most points overall after the final round will be crowned the champions of the Tour Series. Teams receive points at every round according to their finishing positions, with 10 points going to the winning team, nine for second, eight for third and so on. In the women’s series, points are calculated slightly differently, but overall it is the team with the most points at the final round who are crowned champions. WHAT IS THE EISBERG POINTS COMPETITION? During the course of each men’s and women’s race you’ll see a number of intermediate sprints, taking place roughly every 15 minutes during the race. At these intermediate sprints the first five riders across the line will receive points on a 5-4-3-2-1 basis, making them a series of races within a race. From 2015 the top five male riders at the finish also score points, with the rider with the most points following every round pulling on the Eisberg Points Jersey. Whoever collects the most points across the Tour Series wins the Eisberg Points competition, and the leader’s jersey sponsored by the UK’s number one alcohol free wine. CAN I MEET THE RIDERS? Absolutely! Visiting the Tour Series presents fans with an opportunity to get up close and personal with some of the biggest stars the sport has to offer. The team bus paddock allows access that no other sport offers, enabling fans to collect autographs as the riders prepare for the race. This experience gives supporters a great insight into the life of a professional athlete, in particular the level of preparation that goes into their sport. There’s no better way to cap a great day of sporting action! CAN I BUY A PROGRAMME? Look out for race staff selling the official Tour Series souvenir programme at each round. It contains full route information and a rider list, as well as everything you need to know about Britain’s leading domestic cycle series. WHAT ENTERTAINMENT CAN BE FOUND AT A ROUND? Our Tour Village can be found at each round, allowing fans to meet all of the Tour Series’ sponsors and partners. In addition to interactive experiences, there will be plenty of goodies and freebies given out, as well as a host of great competitions offering some stunning prizes! It’s a great way of keeping entertained while you wait for the racing to start. CAN I BUY HOSPITALITY PACKAGES? We offer full VIP packages with complimentary food and drink, free gifts from our event sponsors and partners, and the prime viewing spot to see the world’s best riders in the thick of the action. Visit our HOSPITALITY page for more information. CAN I WATCH ON TELEVISION? 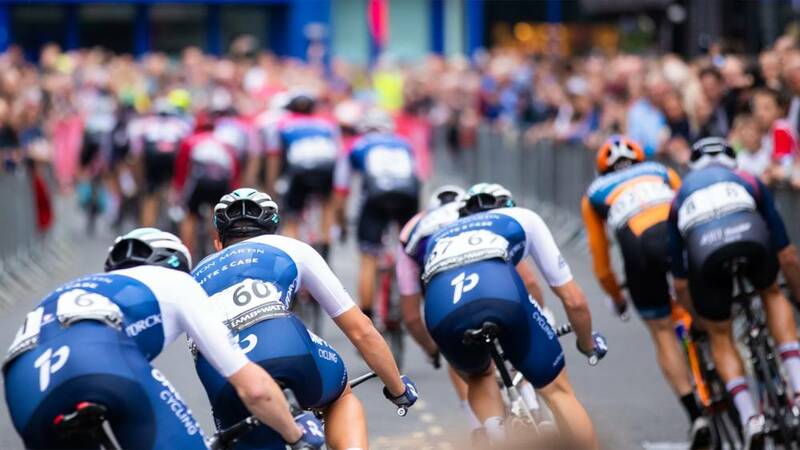 ITV4 is the official broadcaster for the Tour Series and will show highlights of each round of the 2019series. Please check schedules for timings or refer to our TELEVISION page from early May for full details. There are plenty of ways to get involved in Britain’s premier cycling series! We organise our own team of dedicated volunteers who are crucial to the smooth running of the Tour and become the eyes and ears of the race organisers. Alternatively, get in touch with your local council to speak to them directly about the range of events that will be going on around the race. To keep up-to-date with all the activity around the Tour sign up to our newsletter. WILL THE VENUES BE THE SAME EACH YEAR? No. We attempt to take the series into new towns and cities each year, while at the same time returning to certain venues that have previously welcomed the event enthusiastically. There will be a small number of road closures involving the surrounding areas of each circuit. These closures will be finalised well in advance of the race taking place and published on the SPECTATOR INFORMATION pages for each stage, including how long the roads will be closed for. WHY WILL ROADS BE CLOSED? In order to safely deliver a world-class sporting event, we must secure each circuit and ensure that the roads are completely clear. This protects the riders and spectators alike, and will involve road closures and parking restrictions in affected areas. Road closures are necessary to install equipment such as the start/finish gantry, protective barriers, deploy stewards and volunteer marshals along the route and to allow for some minor highway works to be carried out – all crucial for the races to take place. WHAT ARRANGEMENTS HAVE BEEN MADE FOR BLUE LIGHT AND CRITICAL SERVICES VEHICLES TO ACCESS ROADS THAT ARE CLOSED? Planning for the events involves the Police, Fire, Rescue and Ambulance Services and other critical services. Any situation to be dealt with quickly and safely; emergencies will be treated in the usual way, and the safety of residents and visitors will be dealt with as a priority. WILL ACCESS WILL THERE BE FOR LOCAL BUSINESSES AND/OR PEOPLE WORKING AROUND THE CIRCUITS? 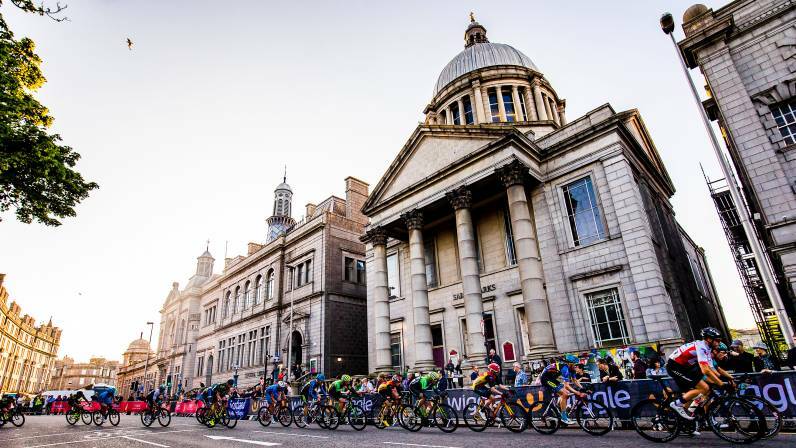 Because of the large footfall at Tour Series rounds, we do our utmost to ensure that local businesses can continue trading and capitalise on the interest in the race. In particular, those business who proactively welcome the Series’ visit to their local area experience the best trade. HOW CAN I GET INTO CYCLING? HOW DO I FIND MY LOCAL CYCLING GROUP? 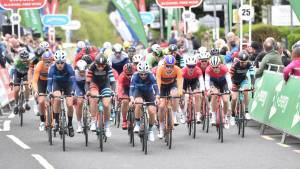 The Tour Series entered its tenth season of unique team based racing in 2018, with ten town and city centres holding the only British domestic cycle race Series to be televised on terrestrial, free-to-air TV, thanks to the ITV4 highlights shows from every round. But if you’re new to the Series, or just want a refresher on how it works, then read on. 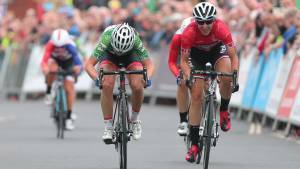 The Tour Series continues with its unique team-based format that has attracted hundreds of thousands of spectators to countless venues across the UK over the past eight years. If you’ve attended a round before or have watched on ITV4 then you’ve got a head start on how the Tour Series works. But if you’re new to the Series, or just need a refresher, then read on to find out what all the excitement is about!